Tarun Kundhi developed a passion and enthusiasm for cars growing up driving the country roads in Southern Maryland. After college he purchased a BMW 325i (E30) which introduced him to the BMW car club. His motorsports involvement began on the east coast in the mid 1990s, competing in local autocross events with BMW CCA and the Metropolitan Washington Council of Sports Car Clubs. A few years later he started doing high performance driving events at Summit Point Raceway. Relocating to the Midwest in 2003 allowed Tarun more time to pursue his motorsports interests. Tarun attended and passed the BMW CCA Instructor Training School in 2006. 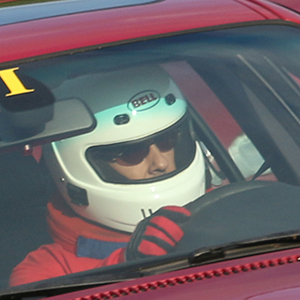 Since then he has enjoyed traveling around the country driving and instructing at many different race tracks. Tarun is an active member of the Great Plains Chapter of BMW CCA. He currently serves as the technology coordinator with previous roles in other officer positions. In recent years Tarun has participated in the BMW CCA Instructor Training School as a mentor to help develop the next generation of high performance driving instructors. Away from the race track, Tarun approaches life with the same enthusiasm and vigor. He enjoys goofing off with his daughter, traveling with family, tinkering with home automation and building audiophile quality speakers. Circuit of the Americas, Hallett Motor Racing Circuit, Heartland Motorsports Park, High Plains Raceway, Motorsport Park Hastings, Pueblo Motorsport Park, Raceway Park of the Midlands, Summit Point Raceway and Virginia International Raceway.